Optical crystal five pointed star awards on a clear base. A classic symbol of talent and brilliance, these star awards stand 5in tall and are offered with engraving and/or colour print options. Crystal star awards on clear crystal bases. 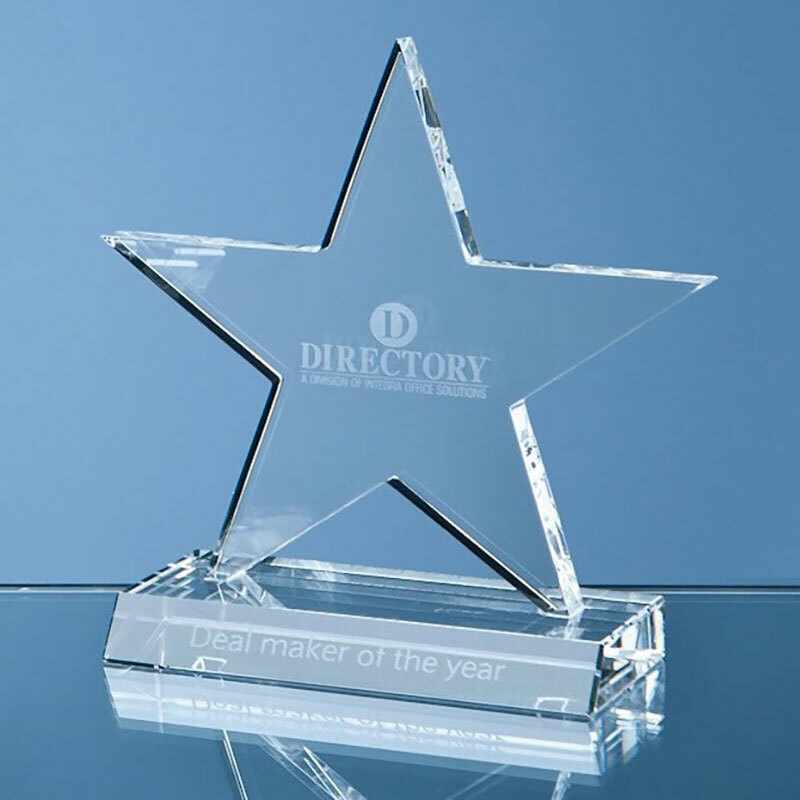 A classic star shaped award, handcrafted in optical crystal, and set on a clear crystal base. These 5in tall stylish awards are suitable for a wide variety of events, presentations and achievements, from corporate recognition awards to sporting trophies to schools prizes and educational awards. The flat front of the five-pointed star is ideal for personalising and they are offered here with engraving and/or colour print options.